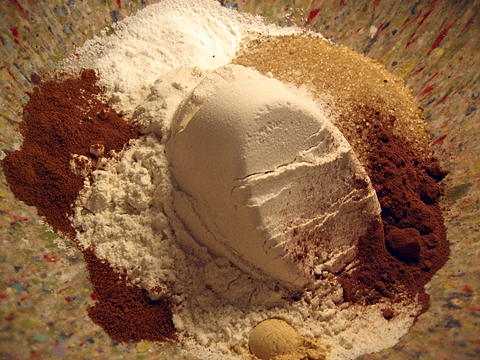 Combine the flour, sugar, baking powder, salt, spices, and cocoa powder in a large bowl. Cut in the cold butter using a pastry cutter (I don’t have one, so I used the method you may recall from this post: a beater from an electric mixer and then a fork when it’s in small enough chunks). In a separate bowl, whisk together the pumpkin, half-and-half, egg, and vanilla extract until just combined. Fold this pumpkin mixture into the flour mixture gently, and when stirring doesn’t seem to be effective anymore, get in there with your hands to make sure all of the flour is incorporated. 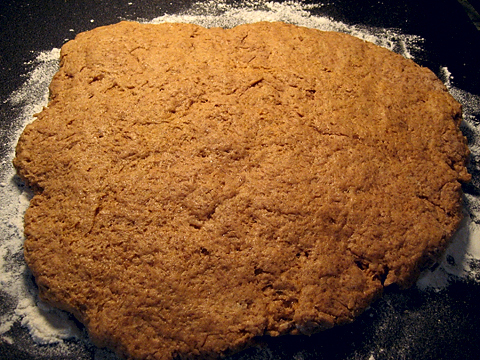 Turn the dough out onto a lightly-floured surface. Pat it into a roughly ovoid shape; I made mine probably about 1/2 to 3/4 of an inch thick, but you can make it a bit thicker if you want more substantial scones. I figured I’d probably just be snacking on them instead of eating them for a full-on meal, so I went with slightly smaller ones. Cut your scones into any shape you like! I used a biscuit cutter to make circles like I did with the previous scones I made, but then halfway through I realized I could get creative so I made a few hearts as well. Put the scones on a lightly greased baking sheet and bake them for about 15 minutes. I just baked a lovely batch of these from the pumpkin puree I made from kabocha pumpkins! The batter was suuuppper moist and sticky, though. 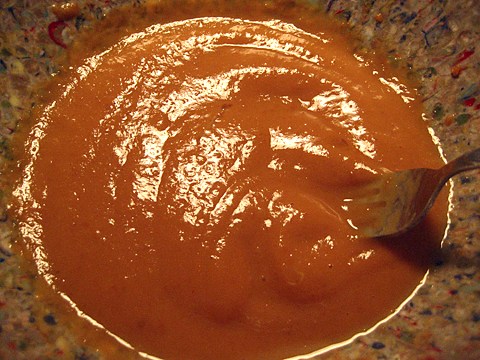 Perhaps my puree was extra watery? Regardless, they are delish! 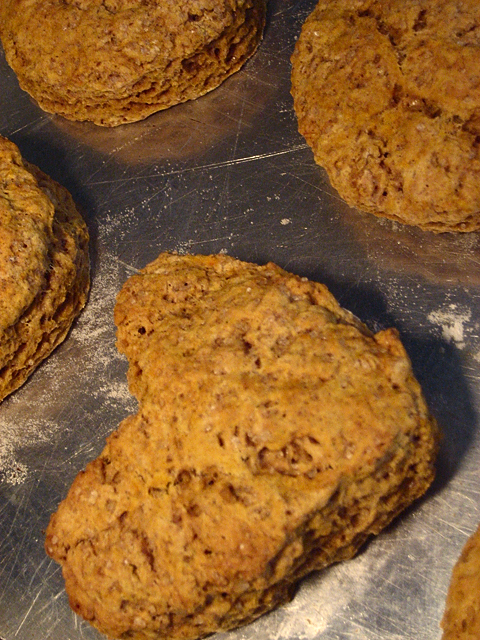 You are currently reading Pumpkin Scones at Nombudsman.